We have all heard the phrase “Cheaper by the Dozen." This means that things are handled more efficiently as a group than individually. This same principle can be applied to insurance as well. More specifically, property owner’s insurance and whether that be rental properties, apartments, or other commercial buildings, there are many benefits to an insurance consumer that can be achieved by combining multiple insurance policies into one master policy. The first benefit, and probably the one that consumer’s value the most, would be the premium saved by combining policies. Using the “Cheaper by the Dozen” example, say you own 12 rental properties and currently insure them all on their own separate policies, each costing you $1,000 for the year ($12,000 total). If you could combine them into one policy, the larger premium amount will allow you to gain a “bulk discount” of say, 10%. Your annual insurance premium would then drop from $12,000 to $10,800, saving you $1,200 per year. Over an extended period of time this kind of savings could really add up. With the larger premium for the portfolio you may be able to better absorb a loss vs. a single location premium. In addition to saving you money, combining your insurance policies will make your life easier. Imagine reducing 12 separate renewal dates into just one common effective date. Handling everything once a year instead of 12 different times will make the task of managing your insurance portfolio much simpler and give you more time to focus on growing your business. Percentage deductible? What is that? A percentage deductible is a calculated deductible based off of the total insured value on your property policy. For example: you have your hotel or apartment insured for $3,000,000; the contents insured for $250,000; and, your annual receipts/business income insured for $250,000. Your total insured value would be $3,500,000. With a 1% wind/hail deductible, your deductible would be $35,000. I know this topic may seem elementary, but I’ve spoken with several clients and learned they had been misinformed on how a percentage deductible works. As your agent, I will always strive to get a flat deductible. Questions? Let’s talk. These days everyone wants to know the upfront cost of a project. When you bid jobs, the General Contractors (GC) look at cost along with what you will do and what material you will use. Let’s look at some costs to consider when bidding for jobs. For ease, let’s assume all your drivers have clean motor vehicle records (MVR). For a one-ton truck, you are roughly looking at a $1,000 annual premium with $1,000,000 liability and a $500 deductible for comp and collision. A variable would be if you have a fleet of ½-ton trucks. Now, are you having the employees who drive your trucks provide their MVR’s? Many factors play into you having their records. One example would be the cost of having a driver who has 2 DUI’s vs. a driver with a traffic ticket for rolling a stop sign. But hey, that’s what insurance is for……right? The easy answer is “yes” but you could end up spending your valuable time away from a job site with dealing with these issues. Again for ease, let’s assume you keep perfect books and split all of your payroll between landscape maintenance and landscaping. As you know, landscape maintenance has a much less expensive rate than landscaping. There is a lot that goes into calculating the workers comp premium, but let’s say your maintenance rate is $4.50 per $100 in payroll and the landscaping rate is $9.00 per $100 or $4,500 per $100,000 and $9,000 per $100,000 in payroll. These figures are based on no workers comp claims within the past 5 years. What is your protocol when an employee is injured? Do you have a doctor you trust or are you relying on an unknown doctor who keeps your employee in the workers comp system for an unknown length of time, ballooning your claim? Also, do you stay in touch with the injured employee? Do you keep an open line of communication to prevent them from getting bad advice? Let’s say you have $140,000 worth of equipment and it’s insured for a premium of $1,000 and a $500 deductible. Damage? Destruction? If you have provided the equipment year, make model and serial numbers, we can get you replacement cost as opposed to actual cash value. What is actual cash value? In essence, it’s depreciation. Kind of like a used car value. We have the only company our there that will give replacement cost on equipment. They don’t just write you a check, they’ll find you the equipment just like the one you lost. What types of contracts are you getting yourself into? Are you doing large jobs for larger contractors or sticking with smaller residential companies? Do you hire sub-contractors? If so, is there a written contract? There are certain coverages in an insurance policy that kick in as long as there is an actual contract in place. NO HAND SHAKE DEALS. Friendship goes out the window when large sums of money are involved. Make sure you are protected. Have contacts in place with sub-contractors and let us look at the contracts you are signing. Did these topics bring more questions to mind? If so, let’s talk. This is what we do. These are the questions we ask. What is your TCOR (Total Cost of Risk) for your Property Insurance? Many Businesses look at their Insurance Premiums as their cost of risks from year to year and do not take into account what their real costs associated with their property exposures are. You hear a lot of discussions about Workers Comp and Liability when talking about Total Cost of Risk but very little is said about your property exposures. When looking at these issues, most would have to agree that avoiding the loss is by far the best way to lower your TCOR and a key component of risk management. Even though many say that there is not much they can do to lower their risk cost or, “it is just luck” that could not be further from the truth. Proactive improvements to property such as electric, roofs, plumbing, etc. We will explore these in future articles. Data Backup and Recovery – This includes software and not just data. Written plan with procedures, and contacts. Copies of relevant data for each key employee should be kept at their houses. Facilities & Power - If you are shut down, for many types of disasters, so is your power. Who will provide power, computers, office space, warehouse space, and internet or phone connectivity if these are out. A disaster can include a major cut in your internet service without any type of natural disaster being the cause. We partner with firms that provide these services to our clients. Testing – If you plan has not been tested, it will probably fail or not obtain it’s desired result. Everyone we know that has tested their plan has found huge problems they had to fix after the test. When you test, you should simulate a complete loss and restore just like you would have to do in a disaster. Funding – Now that you have the plan to take care of all of this, who will pay for it? It’s important that your Risk Advisor structures your insurance to properly fund your plan. Construction or Service Contracts – This includes subcontract agreements with any subcontractors or service providers or contracts where you may be the owner of the property for work being performed. An example of this might be you hiring a General Contractor to do a roofing project for you and he hires a subcontractor to do the work. You should review this contract as well. Indemnity Clauses or Hold Harmless agreements – are they fair? Are they insurable? What endorsements need to be added to your insurance to meet the requirements and how much will it cost you? Question: Why should a business owner use different LLC’s (or corporations) to help manage their risk and exposure? Answer: First of all, legally speaking, it’s important to understand that LLC’s (or S-Corps or C-Corps, whichever one you use) are actually their own, separate, “legal persons.” This means that, just like you or me, the LLC (or corporation) can actually sue and/or be sued as a separate, legal entity (Note: the only difference between you being your own, legal person and the LLC being its own, legal person is that you, as a human being, in addition to being a separate, legal person, are also what’s called a “natural person” who is, medically speaking, an entity that is alive and breathing!). Second of all, as a business owner, it’s important to understand the incredible importance of having your various interests owned by various LLC’s (or corporations) because doing this, in and of itself, is actually a great way to perform the critical function of risk management. How does it work? Read below. B) You’d then do the same thing with your warehouse (i.e., Warehouse, LLC), your administrative offices (i.e., Administrative Office, LLC) and perhaps even certain pieces of plumbing related equipment (i.e., Related Equipment, LLC) which have their own unique, high liability risk factors such as: high voltage generators, tractors, backhoes, lift equipment, etc…). This way, if any of these different categories of assets ever cause an accident (or are ever involved in an accident), all the other assets in the other LLCs will be neatly protected within their own separate, legal entity. Is this method completely fail safe? No. But it’s a great way to begin doing some risk management for your company. Preventative - Safety & Risk Management, Pre-Employee Screening, Safety Equipment, Culture Management, Wellness, New Hire Training, salary of safety personnel & expenses, Personal Protective Equipment, Safety Meetings. Direct- Insurance, Managed Care, OSHA Fines, Deductibles, Legal Expenses, Loss of Productivity post accident, Management time to administer Injury or attend hearings, Staff time to administer injury. Indirect - Reputation with insurance carrier(s), reputation with vendors, loss of morale, loss of reputation, employee gossip, etc. Considering all of these expenses why would anyone not want to spend more money on Preventative costs? As a Commercial Risk Advisor, I am seeing numerous stories and articles related to a new Emerging Risk that is affecting thousands of businesses and millions of people across the world. What could a risk of this magnitude be you might be wondering? The answer is Data Breach or Cyber Crime. This has become such a problem that the cost of loss is the highest in history at around $5.5 million and climbing. This type of risk comes in many forms such as viruses, internet fraud or identity theft, to name a few. The hackers are becoming more deviant and savvy about how they attack organizations sensitive information. One article indicated that a company overseas did not even know their system had been breached for nearly 7 months! That is a long time for unwanted criminals to be inside a large organizations database collecting personal information. A growing concern now is the amount of employees inside the organizations that are helping these criminals breach databases and assisting in their crime. According to DataBreach Today.com, in 2011 the FBI charged 22 individuals in California for stealing $8 million from three large banks. The individuals charged were either inside prison orchestrating the crime or worked for the banking institutions themselves. That type of risk is very hard to catch even with the best security measures in place simply because employees will know their way around the system. On October 3, 2012, Nationwide Insurance Company of Columbus, OH and Allied Insurance experienced a data breach and it affected 534 Oklahomans. The compromised information included social security numbers, driver’s license numbers, birthdates and even their marital status. In Germany, crime statistics compiled by the police indicate that about 60,000 cases of cybercrime were recorded in 2011.” These are alarming statistics being released and as business owners and citizens we should be very concerned with the safety of our personal information and how it could affect the business itself due to such a loss. If a person experiences identity theft they only have 90 days to dispute the charges, file police reports and resolve the crime. If the theft goes unnoticed by an individual for more than 90 days, the debt becomes theirs to pay off. Now let’s think about this for just a moment. If a major organization doesn’t even notice they have been breached for 7 months, how would one individual know they are a victim within 90 days? That means it is time to start being vigilant about this risk and protecting yourself, your business and your clients. An article posted on Entrepreneur.com in April 2010 reports the Federal Trade Commission posted these 5 steps you can take to help prevent a data breach. 1. Take Stock- know what information you’re keeping, how far back it goes and which records qualify as sensitive. 2. Scale Down- Only collect those pieces of data that you really need to make your business more efficient. Do not store credit card numbers you don’t need or make the clients give their social security number as an identifier unless absolutely necessary. 3. Lock it- Keep physical records in locked boxes and secure locations and digital records must have safeguards. 4. Pitch it- Information such as paycheck stubs, bills and investment records etc. should only be kept for one full year. After a year, get a shredder and shred the information. 5. Plan ahead- Prepare for the worst. Put an action plan in place for how you will handle a data breach. A risk such as this does not discriminate on the size of the business. No business is too small or too large to be a victim. Criminals don’t care where they get the information or how much they do get, as long as they achieve their goal. As a Commercial Risk Advisor, I strive to advise you on these types of risks and how they could impact your business. There is a financial risk due to these types of crimes. With that information now being known, take the appropriate steps to minimize your exposure. First, I would consider is purchasing a Crime Policy and a Cyber Liability policy. These polices can be called numerous other names such as Technology Liability, Data Breach Liability or Computer Fraud, to name a few. 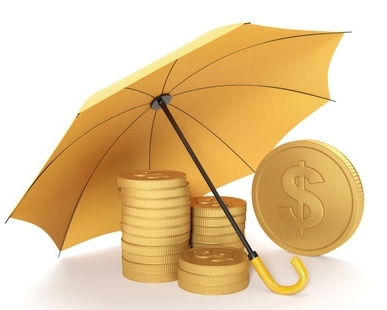 It is very important that you are covered for your financial loss as well as the third party’s financial loss. These policies are very inexpensive especially if you compare the numbers to what an actual loss could cost a company. Insurance is about bringing you back to whole after a loss. Risk Management is about being proactive, minimizing your risks and having strategies in place to make you more prepared to handle risks as they surface. Make sure that you can recover from this widespread and now worldwide threat. Educating yourself is crucial in protecting yourself. The more you know, the better you will be protected. There are other numerous ways that we can help you discover your risks and implement the best plan of action for you and your growing business. What does your deductible mean to you? We are all familiar with our insurance policies having deductibles whether it’s for health insurance, auto and home insurance or commercial insurance. In the past our standard deductibles (what we are most familiar to selecting) would range anywhere from $0-$2,500 for auto and home insurance, $250-$1,000 for health insurance and $1,000-$5,000 for commercial insurance. Have you looked at your deductible in the last year? Did you notice any changes to the deductible? Right now in Oklahoma our deductibles vary greatly due to the catastrophic wind and hail losses we have sustained. The loss amounts are in the billions of dollars for our state alone. You might still see the above mentioned deductibles in your policy listed under “All Other Perils except Wind and Hail” and then you will see another deductible listed that states 1%-5% W/H (Wind and Hail) deductible. What does that mean exactly? That means that for a loss that is classified as a Wind and Hail loss, your deductible amount will be 1%-5% of the dwelling or building value listed on your declarations page. For example, if the dwelling (house) is insured for $150,000 with a Wind/Hail deductible of 2% and you suffer a hail loss to your roof, your out of pocket portion for the claim would be $3,000.00. Imagine what that figure would look like if your business was insured for $1.5 million and you had a deductible of 3% on wind and hail. That’s a $45,000.00 deductible that you would be responsible for! If you are a business owner that owns multiple locations, that deductible could apply to each location as well. That is an amount that none of us would be happy about in the event of a loss. As we get closer to 2013, we are seeing insurance rates and deductibles rise because of the catastrophic weather we have suffered across the nation and especially in Oklahoma. Now is the time to really inform yourself on your coverage’s and deductibles and what they mean to your bottom line. Taking a proactive role in risk management for your business and/or home insurance is imperative now more than ever. There are many ways you can help reduce your hazards, and control your own premiums and coverage’s. Talk to your agent and reach out to companies such as TCOR, Total Cost of Risk, for advice and direction for your upcoming renewal. Even though we cannot prevent Mother Nature and across the board rate increases within the insurance companies, does not mean you can’t help control your own risks, coverage’s and deductibles. Stay proactive and informed about your policy!